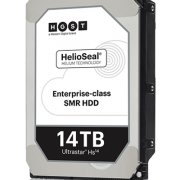 HGST Ultrastar HS14: A star is born! https://corporatedatarecovery.com.au/wp-content/uploads/sites/7/2017/11/ultrastar-hs14.png 500 400 Corporate Data Recovery https://corporatedatarecovery.com.au/wp-content/uploads/sites/7/2016/12/CorporateDataRecovery-Logo-388.png Corporate Data Recovery2017-11-10 17:44:222018-05-09 10:40:43HGST Ultrastar HS14: A star is born! Corporate Data Recovery services all Australian cities and regions.